Pack of 5, 6.3mm female blade terminal housing. 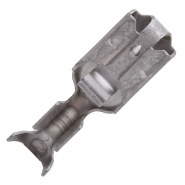 To suit 6.3mm female blades. 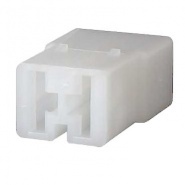 0-011-23 Female terminals, 0.65mm² to 1.00mm² cable. 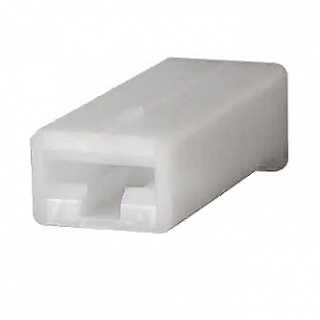 0-011-24 Female terminals, 1.00mm² to 2.50mm² cable. 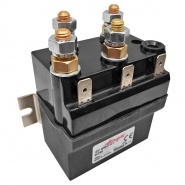 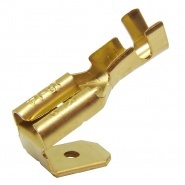 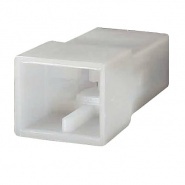 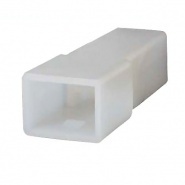 The one way female blade receptacle housing is rated by available standard automotive cable sizes, they will take by accommodation a cable terminal entry size of up to 2.50mm² standard cable strand configuration, to a maximum of 21.75A per single terminal when including a thin wall (higher amperage) cable construct.